Whether you’re moving from Somerset, PA, to the neighboring state of Maryland or all the way to the West Coast, you’re crossing state lines and performing a long distance move. No matter how far you’re going, moving long distance has its own specifics and its own challenges. First things first, you need to find properly licensed and richly experienced movers to help you with your relocation – moving across the country without professional assistance is not only difficult, but can also be rather risky and plain dangerous. Your belongings will be on the road for days on end, so they need maximum protection and expert care if they’re to survive the relocation intact and unscathed. To ensure their safety and your peace of mind, you need to find reliable long distance movers who will handle your relocation with professionalism and commitment – at a reasonable price. This is where Great Nation Moving comes in – we offer quality long distance moving services that can satisfy every demand and budget. Great Nation Moving ranks among the best Somerset movers (as well as among the most reputable long distance movers in the country) for a reason – known for our expert packing, loading, transportation, and unpacking services, we strive to provide our customers with a seamless, easy, and stress-free moving experience. You can use as many or as few of our moving services as you want to – we act according to your needs, requirements, and schedule. Our moving experts work with you to create a relocation plan based on your particular situation and our extensive experience. Once all the details are agreed upon, we provide you with a free estimate for your long distance move from Somerset, PA, to wherever you’re going. Then, you can book your move, knowing that it will be in good hands and the price quoted in your estimate will be the maximum amount you’re going to pay in the end. As one of the top rated Somerset moving companies, Great Nation Moving can ensure your safe and affordable long distance move to Somerset, PA, as well – from anywhere in the country. We take it upon ourselves to see your relocation through down to every last detail and protect your belongings, your privacy, and your budget. We’re proud of the fact that we help you complete your relocation journey in the safest, smoothest, and most efficient way possible and give a good head start to your new life. 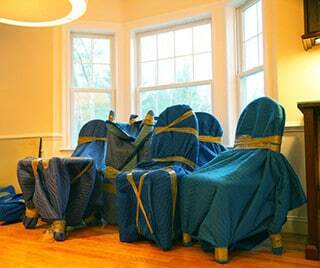 Call us at (800) 403-7552 for more detailed information about our long distance moving services and a free moving quote. Your relocation is guaranteed to be a success. The quickest way to get a moving quote is by calling us at (800) 403-7552. Can’t talk right now? That’s fine, you can fill in our moving quote form.